This genus of about 40 species is found in the mountains of Europe and Asia. In the FSU about 14 species. 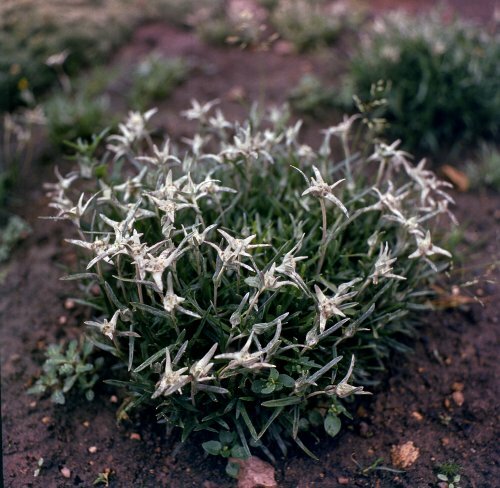 One species, L. alpinum Cass., occurs in the western Carpathians, the others in the Asian part of Russia: in the Far East, Siberia and the Central Asian mountains. L. discolor Beauverd, L. kurilense Takeda, L. leontopodioides (Willd.) Beauverd and L. ochroleucum Beauverd form loose mats and produce numerous inflorescences. Some other species form tight cushions. These species can be used as groundcover plants. Both species occur in the Far East. Both species are suited to the rock garden. Z 5 (4). Leontopodium nanum (Hook. f. et Thoms.) Hand.-Mazz.